Rain for Rent is a leader in drip irrigation service, rentals and sales. We offer tape, fittings and nozzles from the top manufacturers. In addition to the best water-saving drip irrigation systems we also provide the field design and underground work needed for the best performing and most efficient drip irrigation systems. 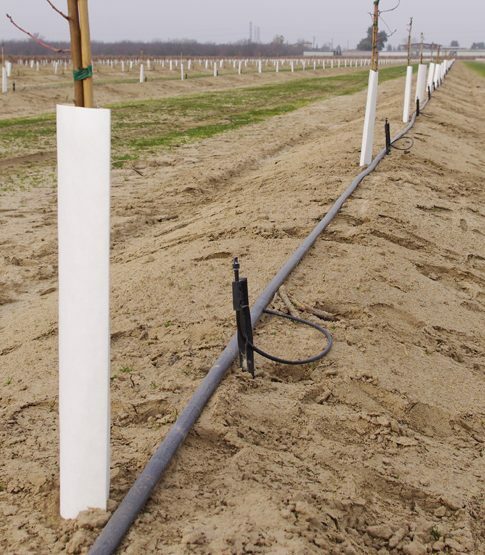 Use drip irrigation for: Vineyards, tomatoes, onions, any mounded plants. Our irrigation engineers will help you get the best use of your water systems and have the needed filtration to prevent your drip nozzles and hoses from clogging or building up algae.